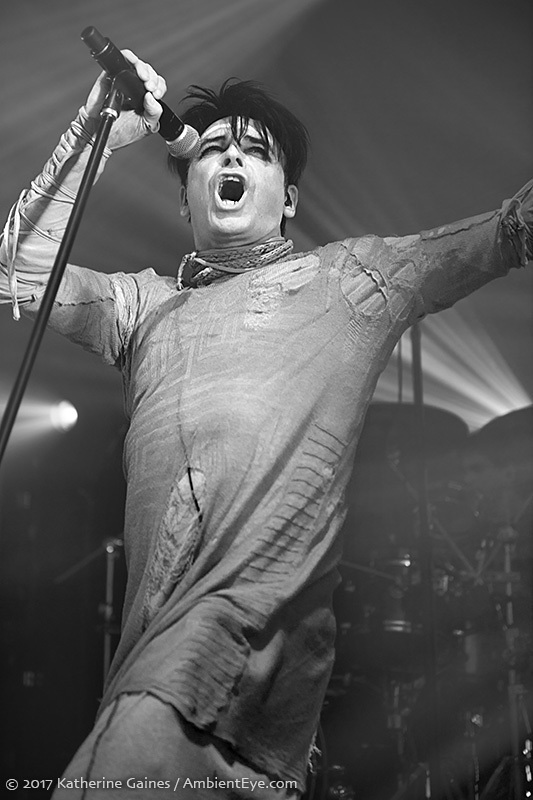 Gary Numan… what else need be said about him? 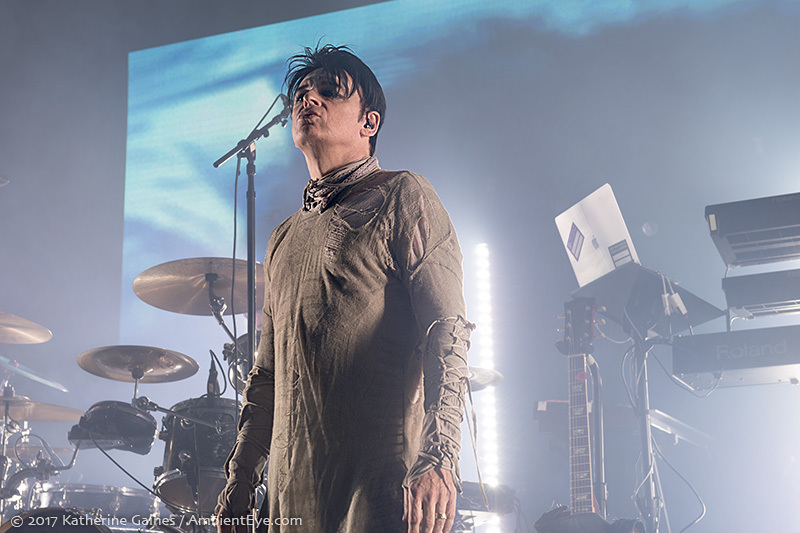 For four decades, he has transcended the trappings of genre and the fickleness of trends to become one of the most profoundly influential artists in modern music. 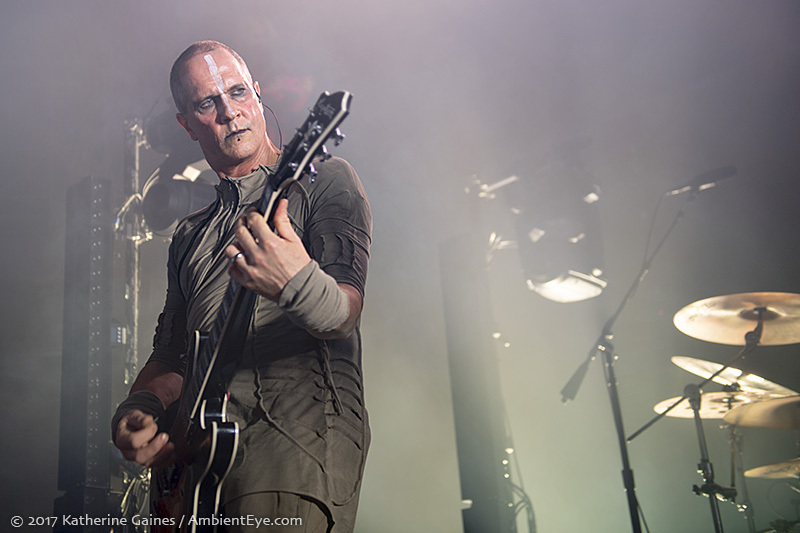 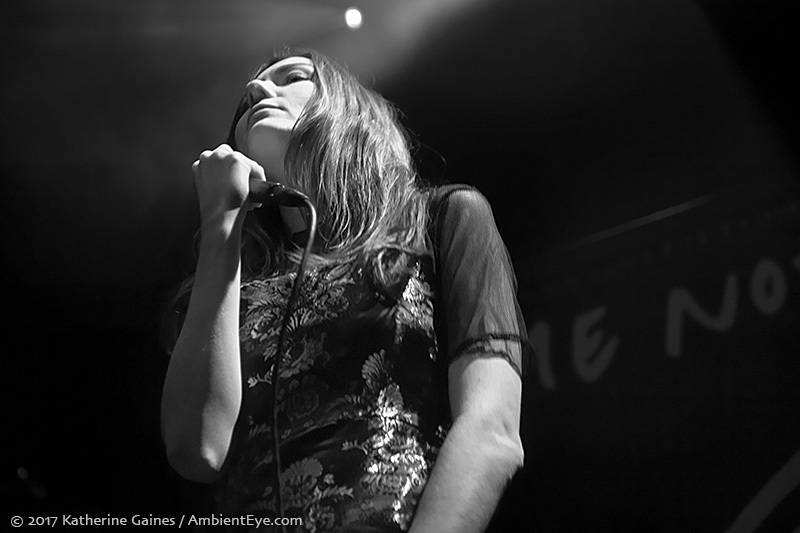 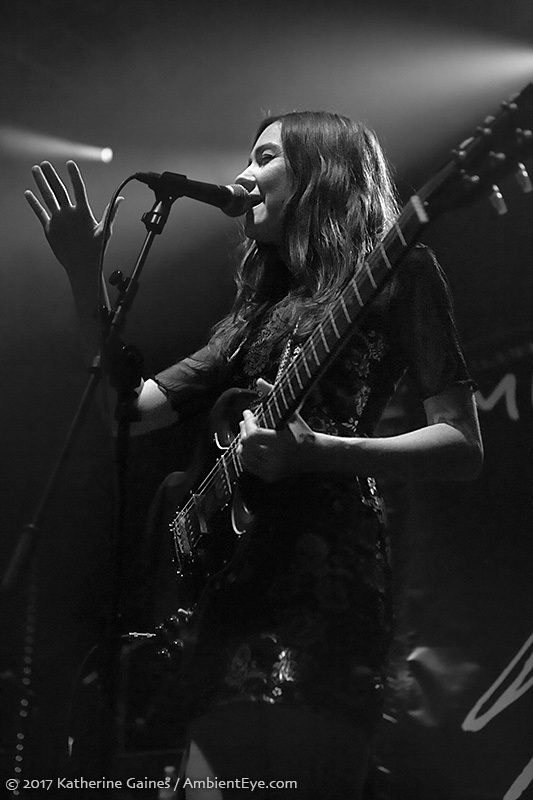 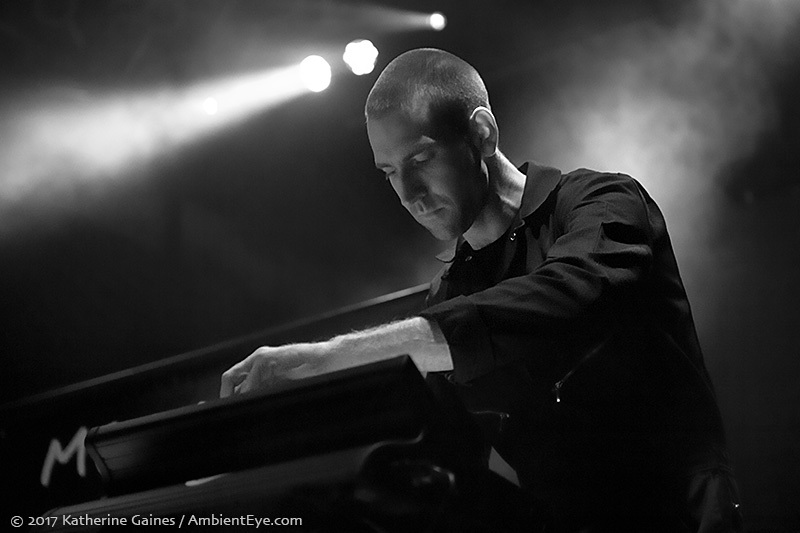 Known for his darkly vibrant and pioneering work in blending cold, cutting electronics with the dynamics of rock music, he has successfully transitioned from new wave android to industrial/rock warrior, with his latest album, Savage (Songs from a Broken World), standing as a monumental achievement for the artist – a conceptually monolithic and apocalyptic album that addresses the devastating ramifications of man’s ignorance leading to ecological and sociopolitical upheaval. 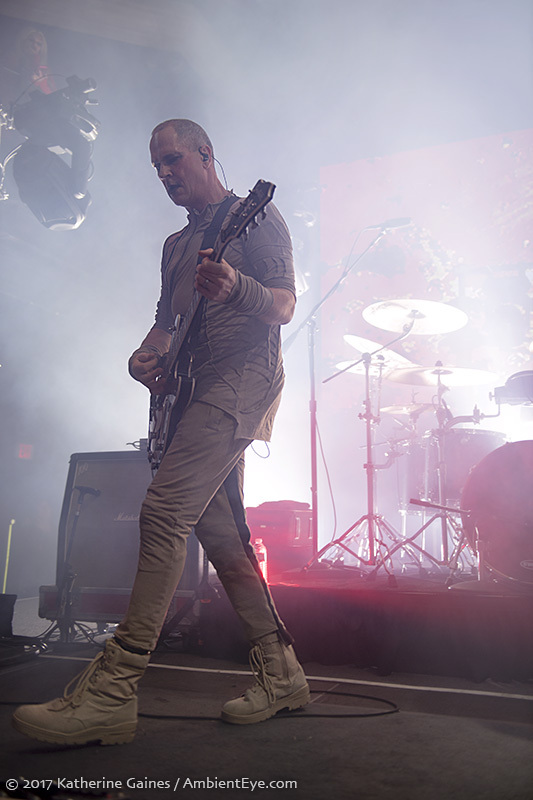 Kicking off the first North American leg of the Savage tour with guitarist Steve Harris and bassist Tim Slade, as well as a live keyboardist and drummer, Numan brought the album’s visceral and venomous outlook into a stark but striking visual realm, donning the custom uniforms of the desert nomad and presenting a set that showcased the new album with several hits and favorites interspersed for good measure. 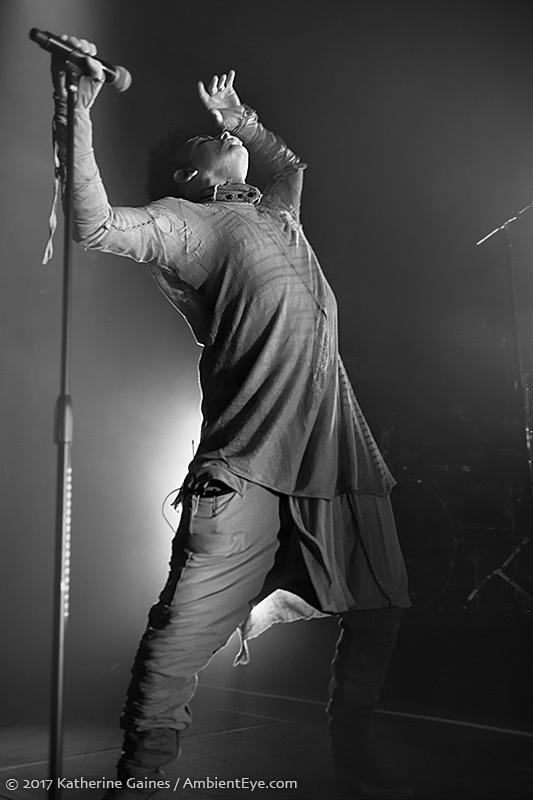 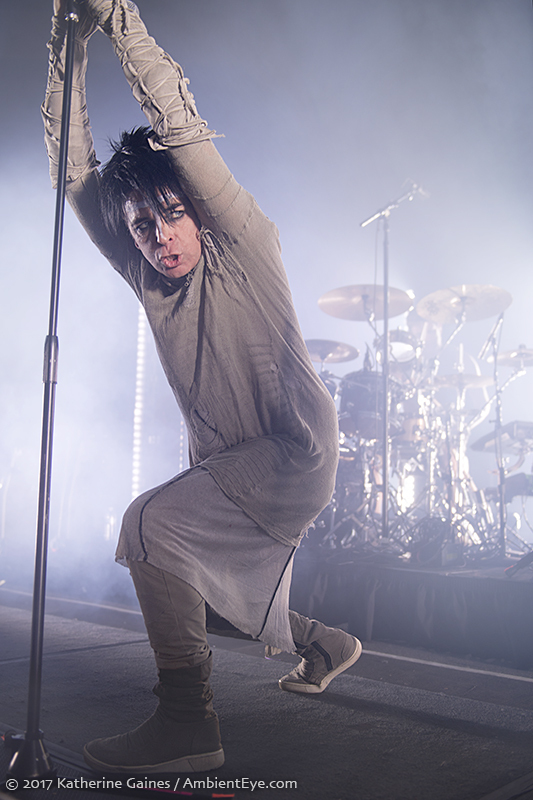 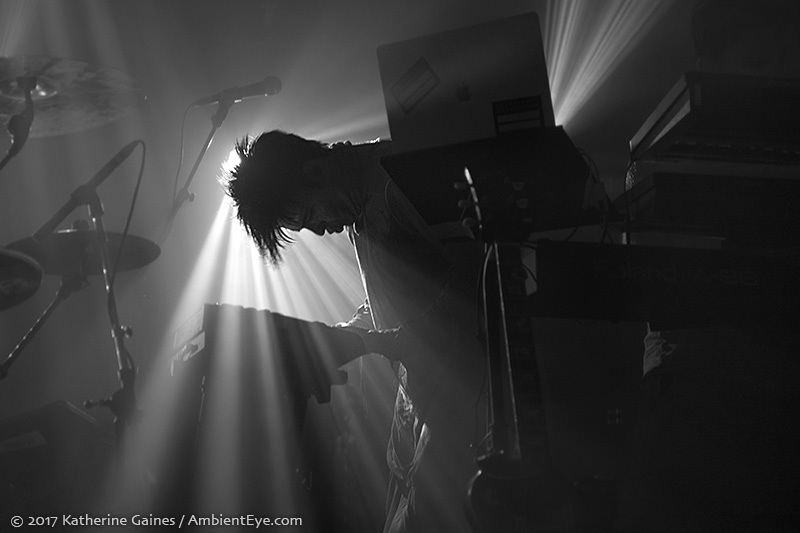 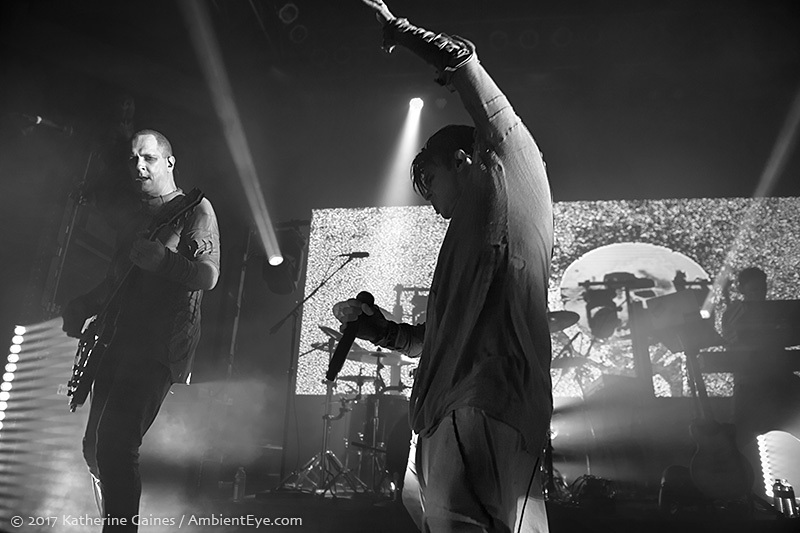 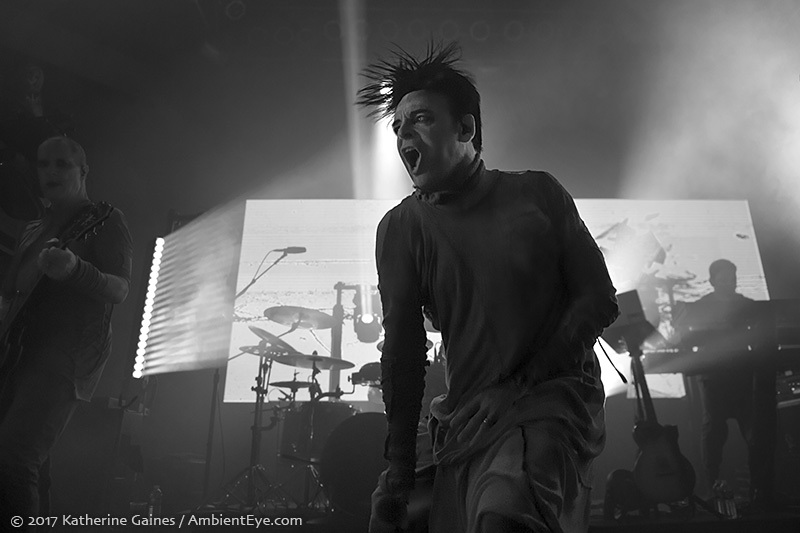 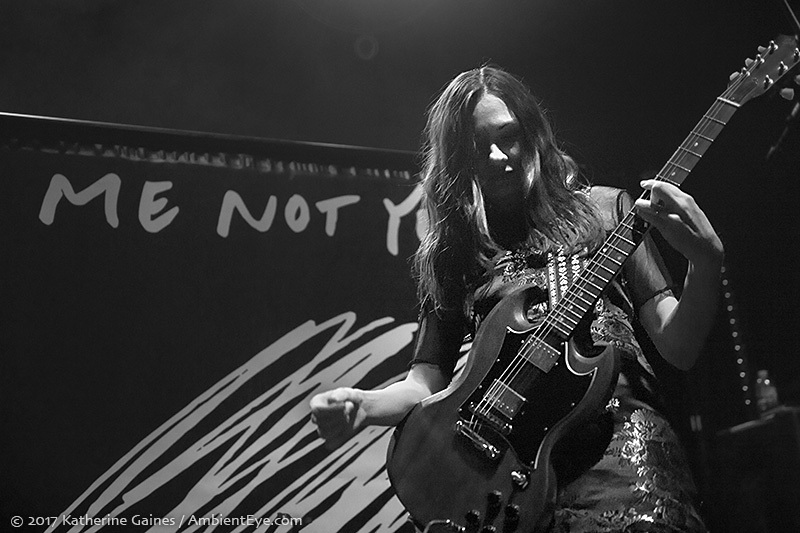 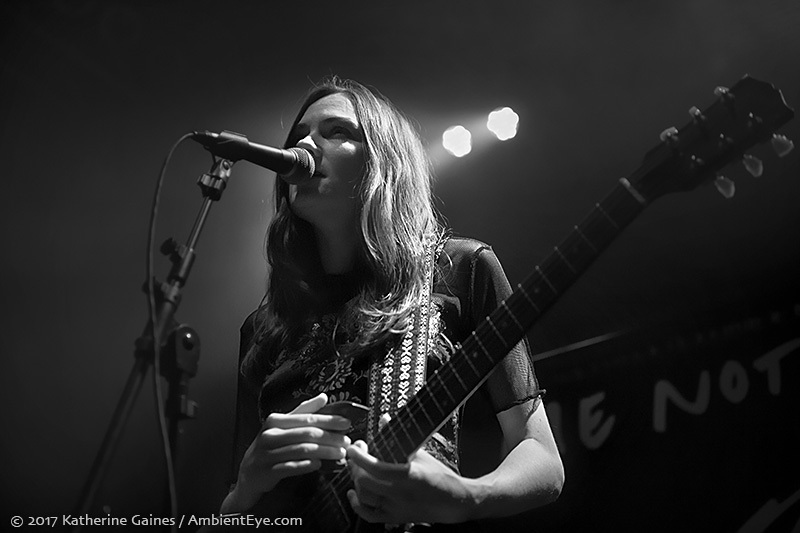 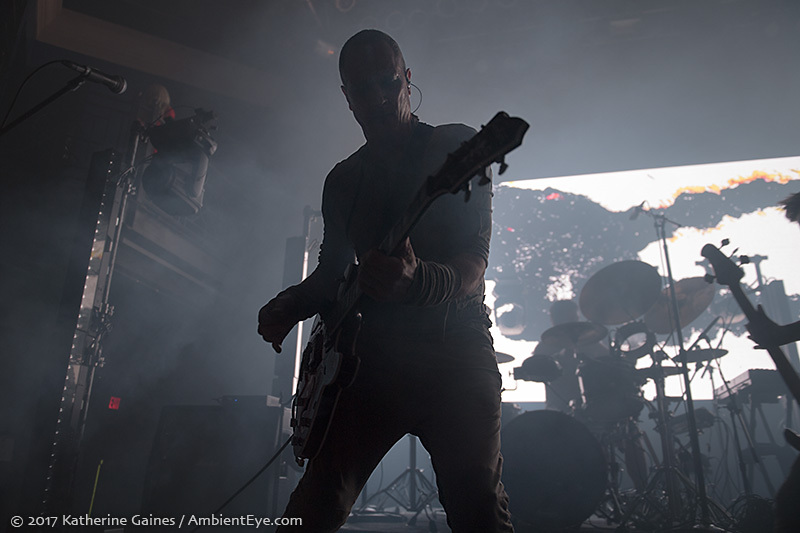 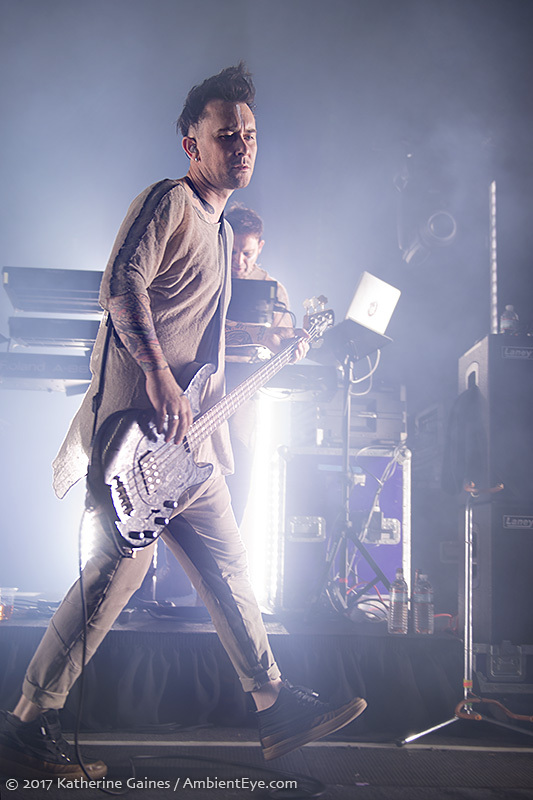 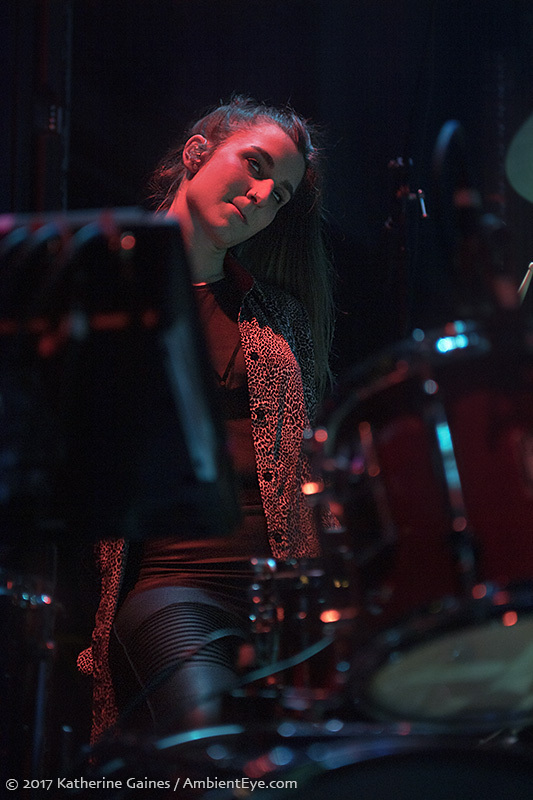 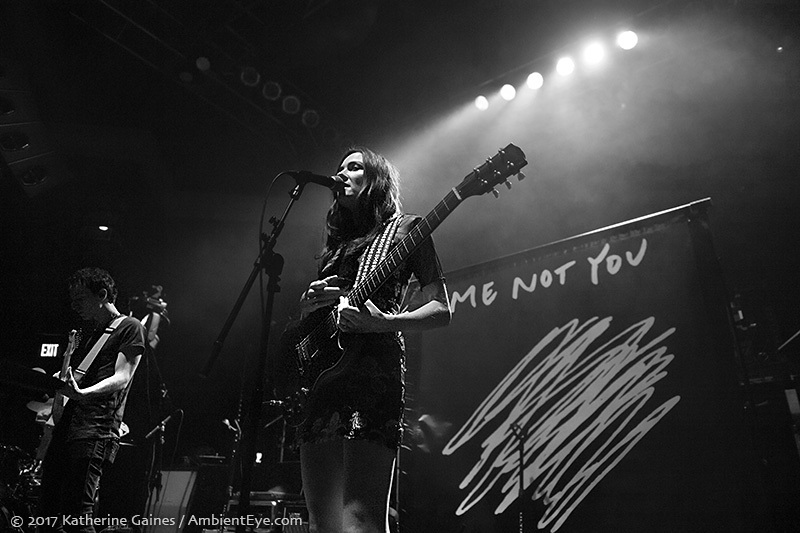 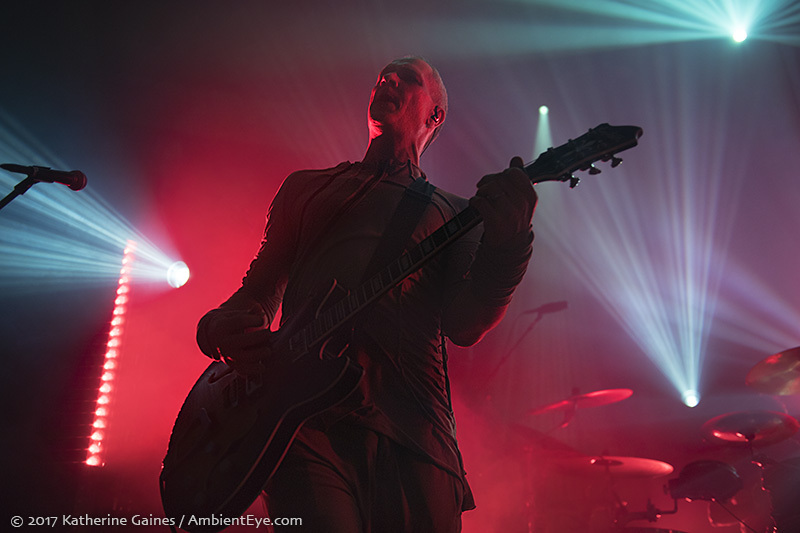 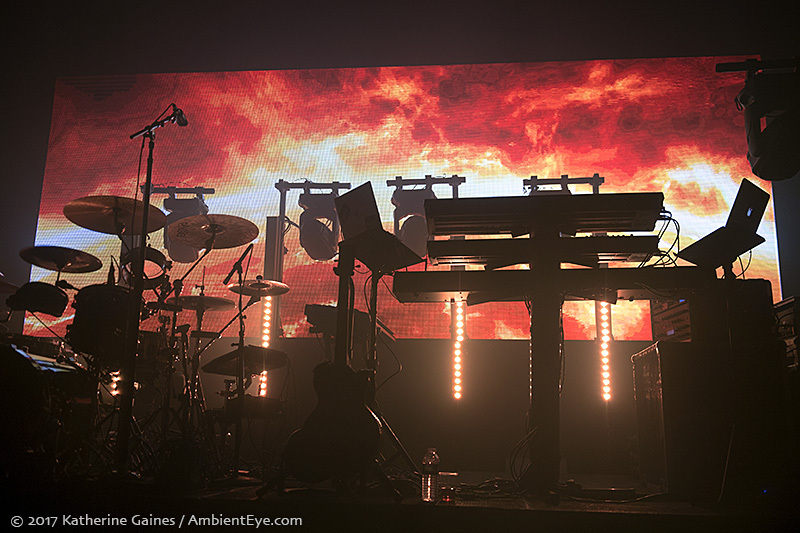 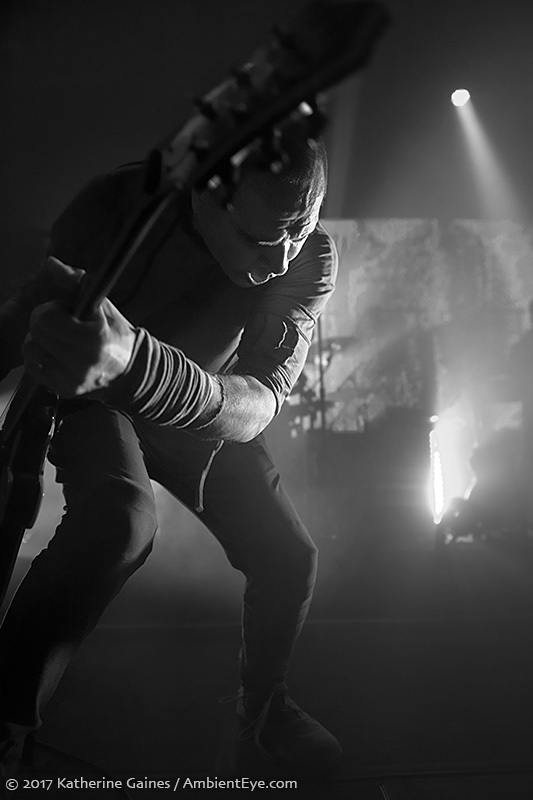 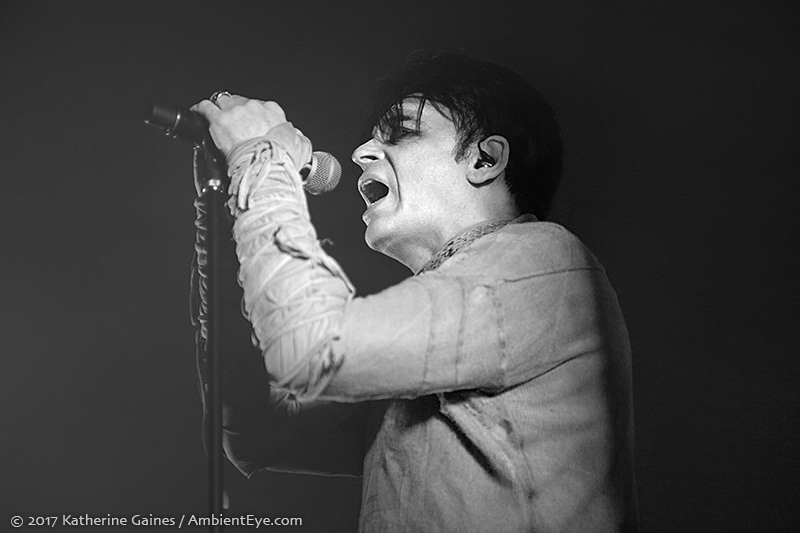 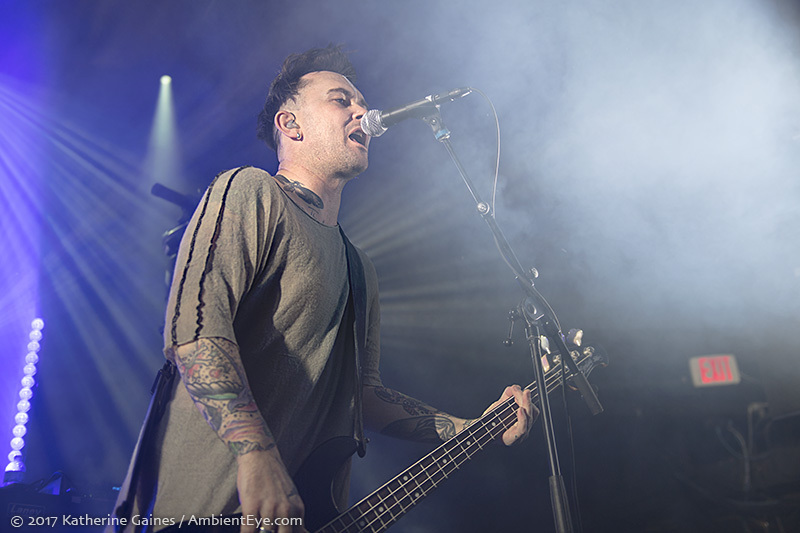 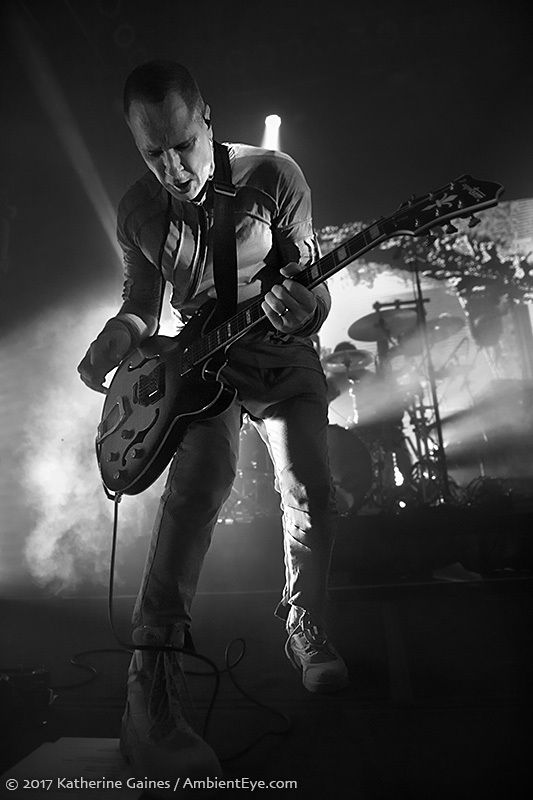 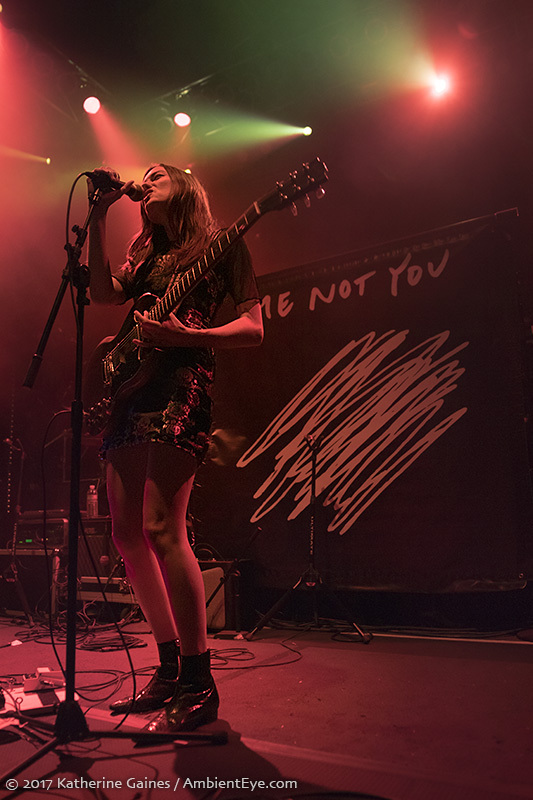 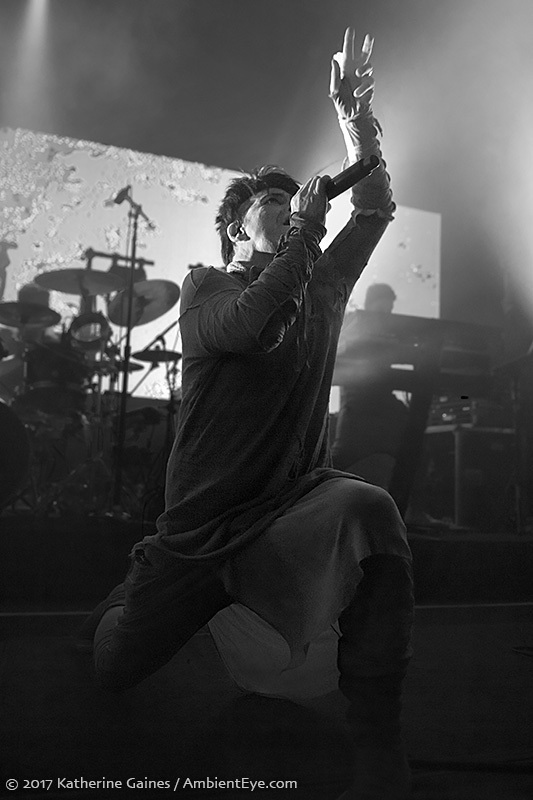 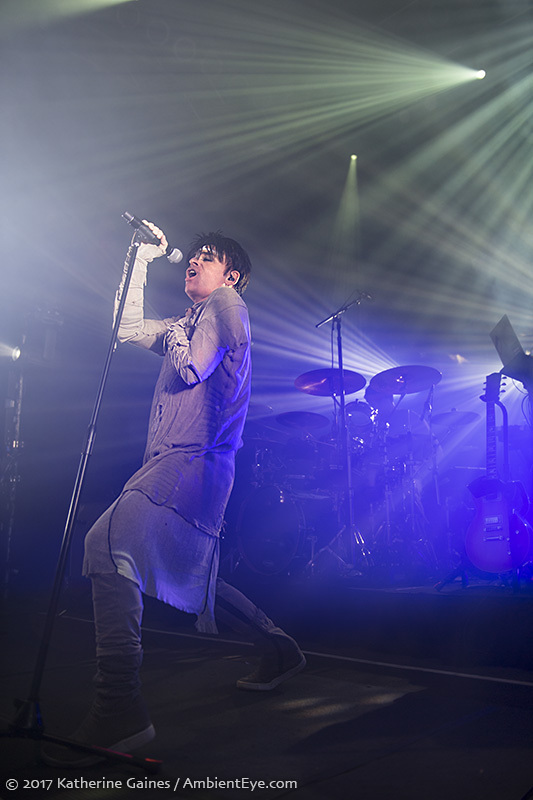 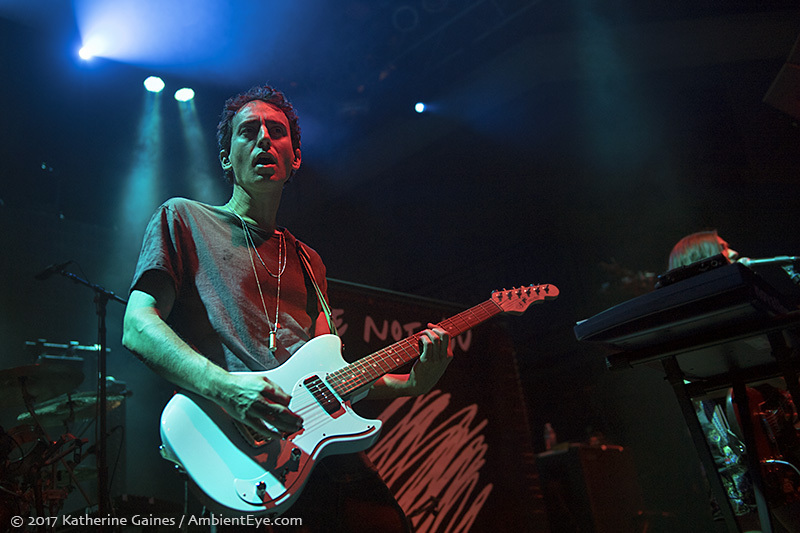 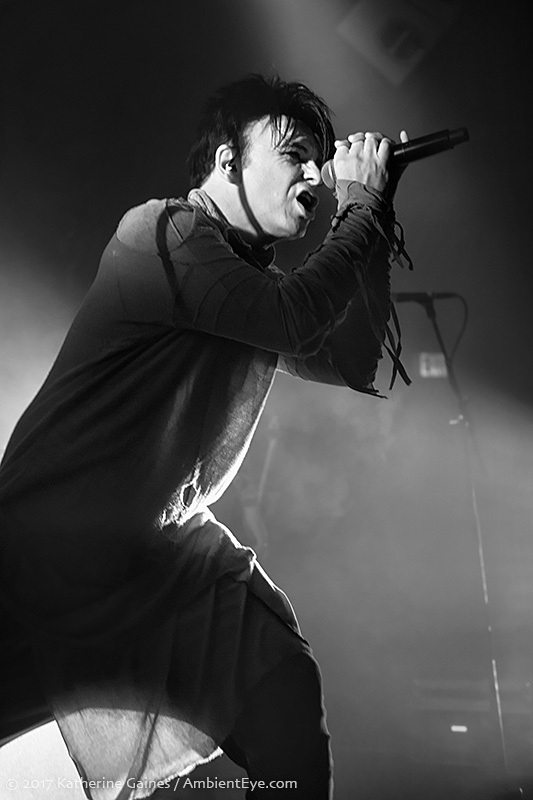 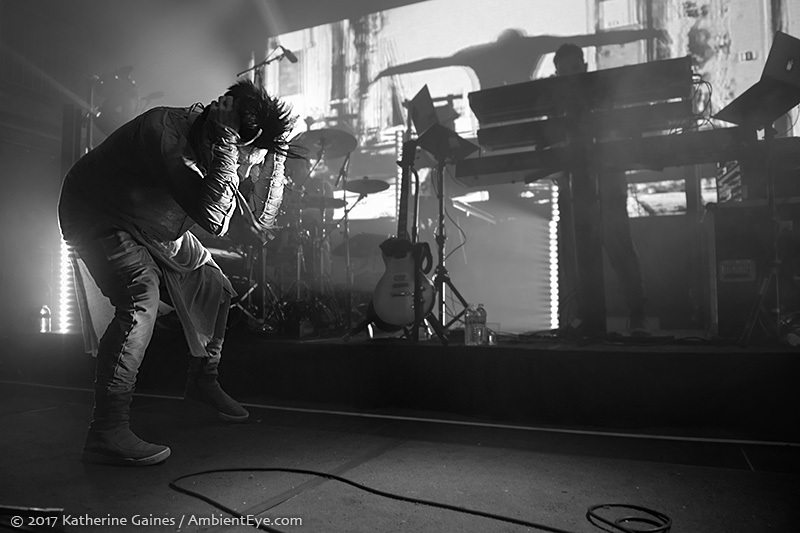 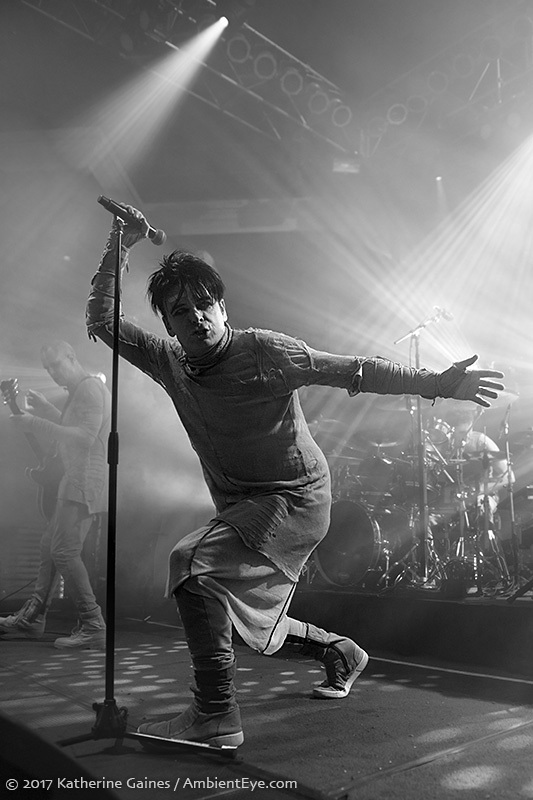 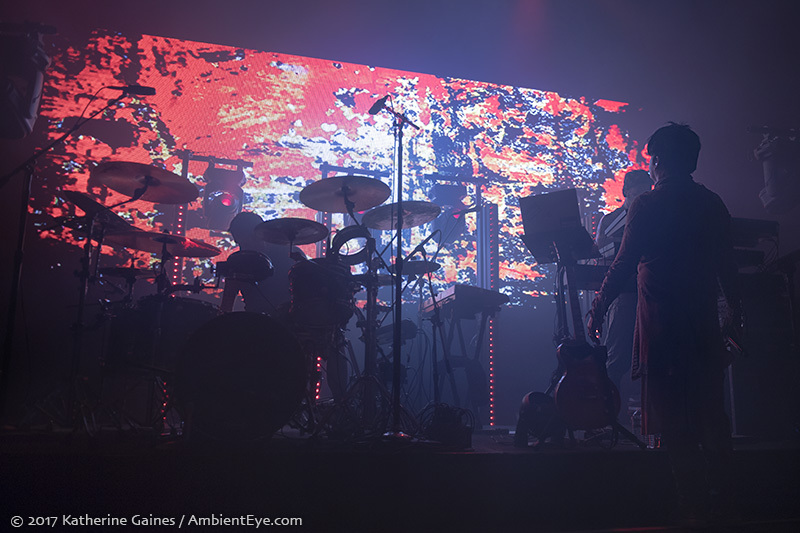 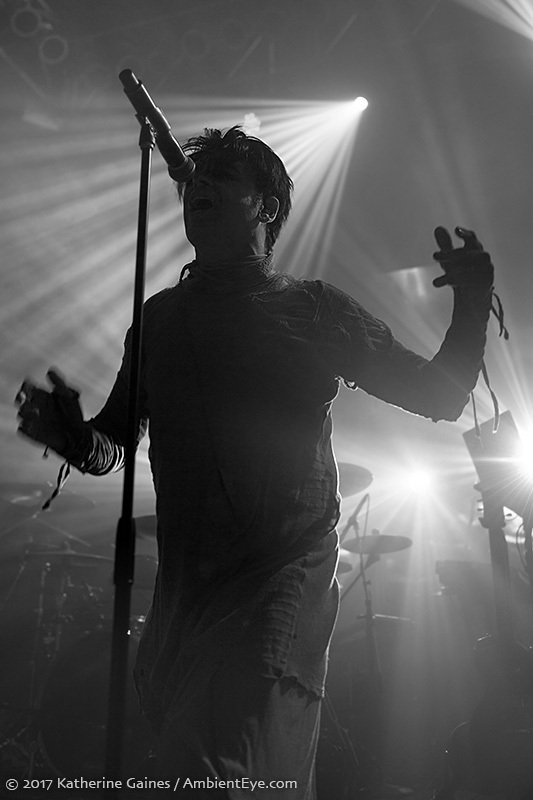 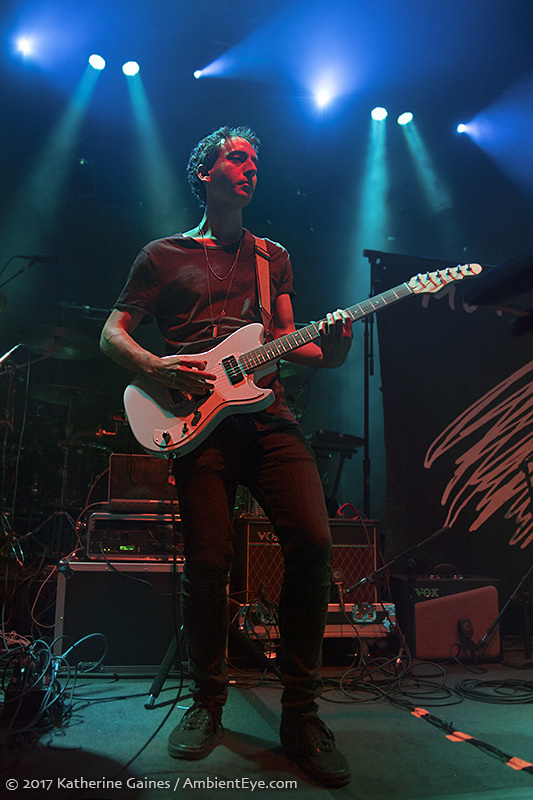 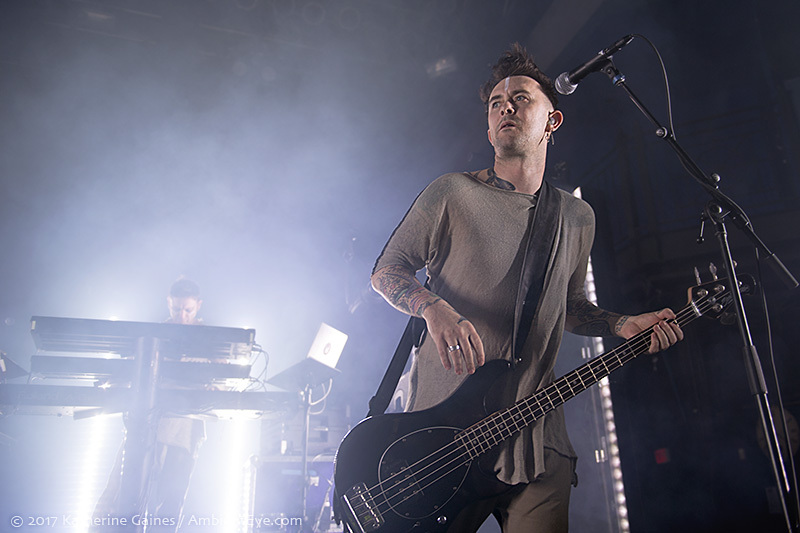 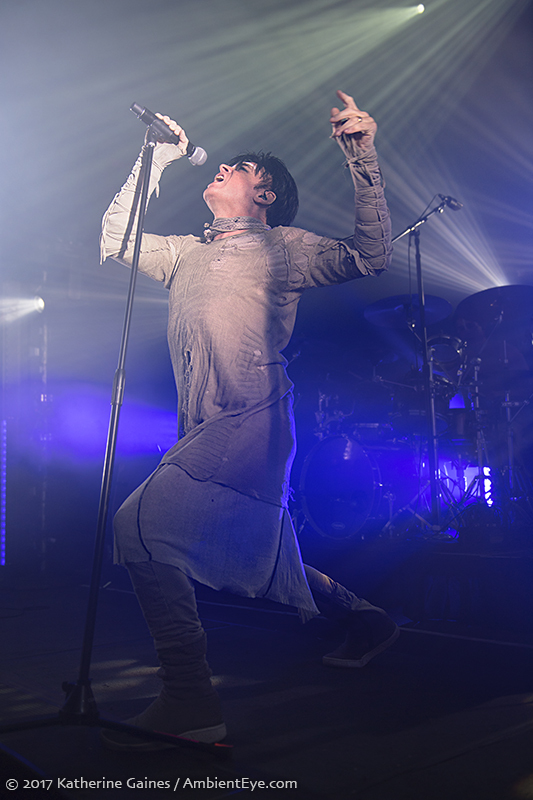 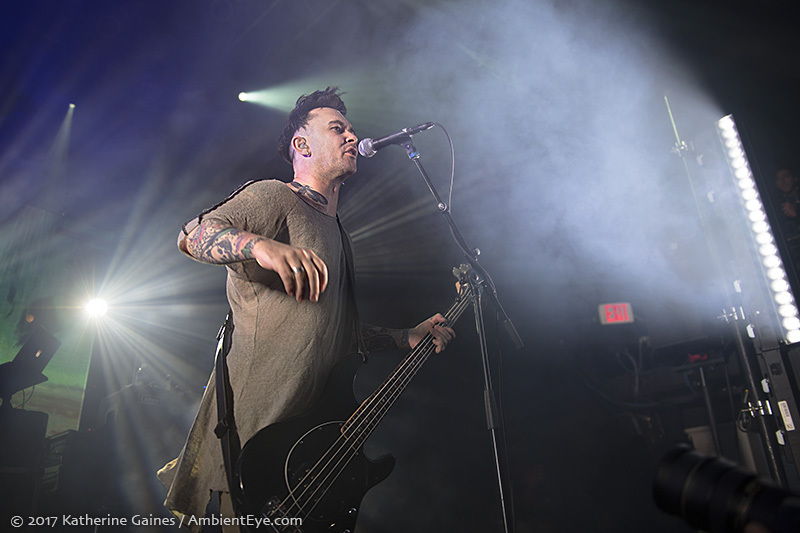 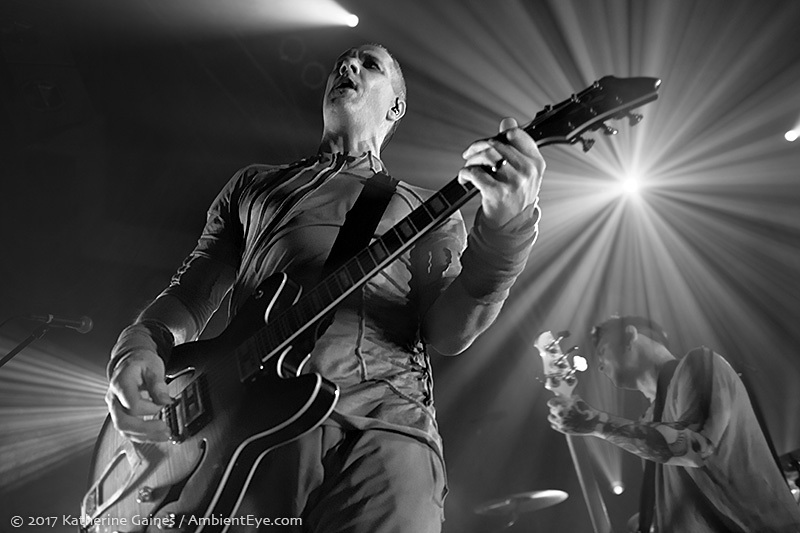 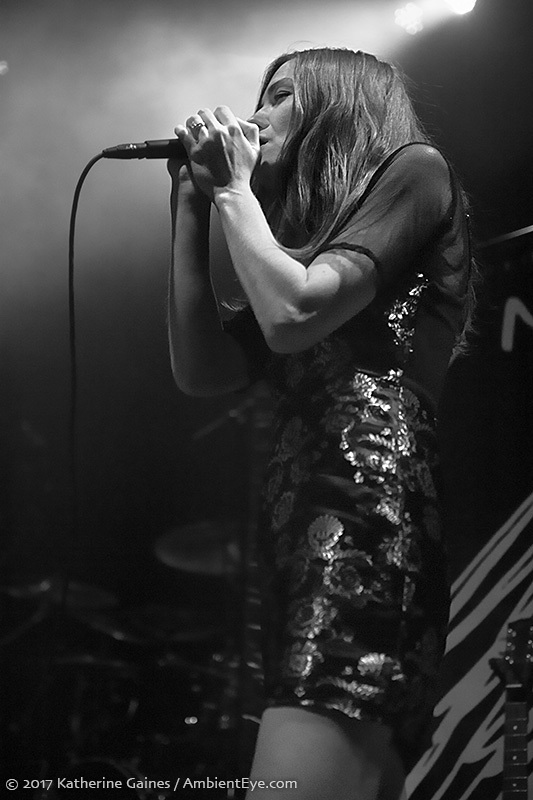 Photographer and longtime ReGen Magazine associate Katherine Gaines attended the tour stop at Washington, DC’s illustrious 9:30 Club, capturing Numan and opening band Me Not You.